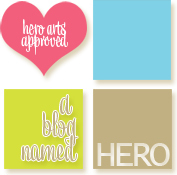 I've got a card to share for the A Blog Named Hero Facebook Fan Page. I decided to mask the Hero Arts Antique flower to create a background of images. The main image was coloured in with Copic markers and mounted on black card stock. I'm adding this to the A Blog Named Hero's Pop of Colour Challenge. Thanks for dropping by! 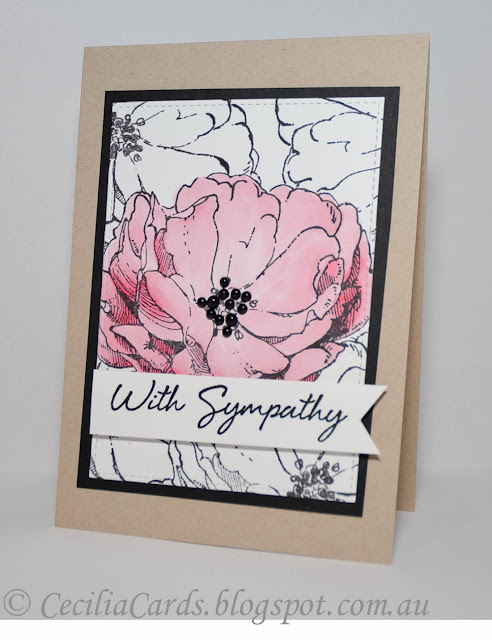 Hero Arts Antique Flower and sentiment, Momento Tuxedo Black Ink, Copic Markers, enamel dots. This is a very pretty card Cecilia. Good luck with the challenge. OH - so, so stunning. This is one of my favorite HA stamps of all time and you've really highlighted the stamp with your gloria Pop of Color Cecilia. LOVE IT. Thank you so much for sharing this with us at A Blog Named Hero - Good Luck.